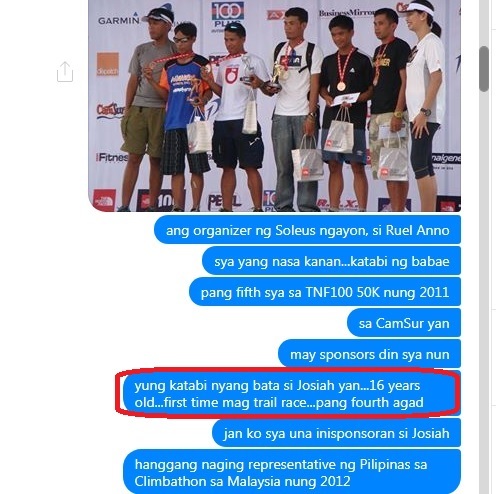 I'm probably the creepiest stalker of Champion System (now The North Face Adventure Team) -- a team of elite adventure racers across Asia. 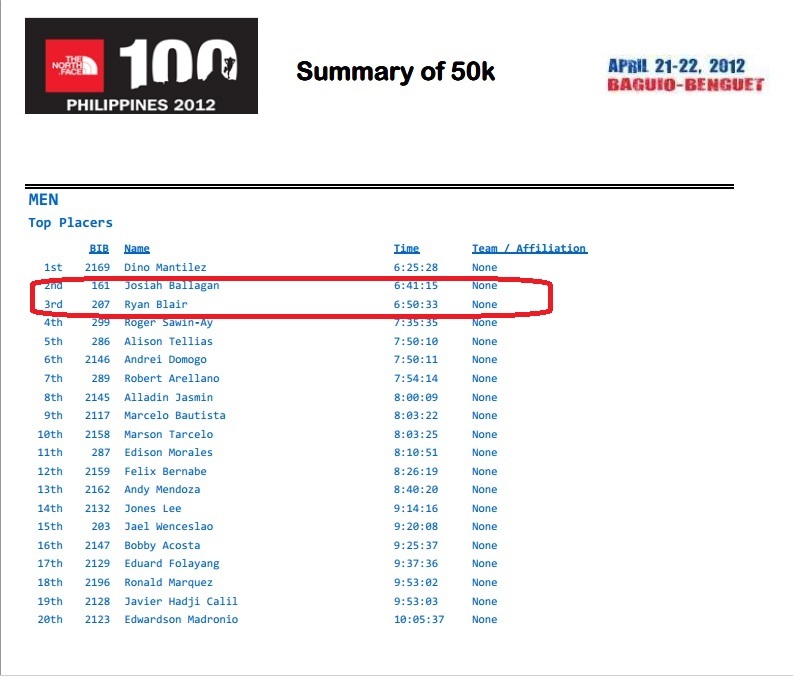 And for a very long time, I had wanted to see a Filipino guy in their roster. 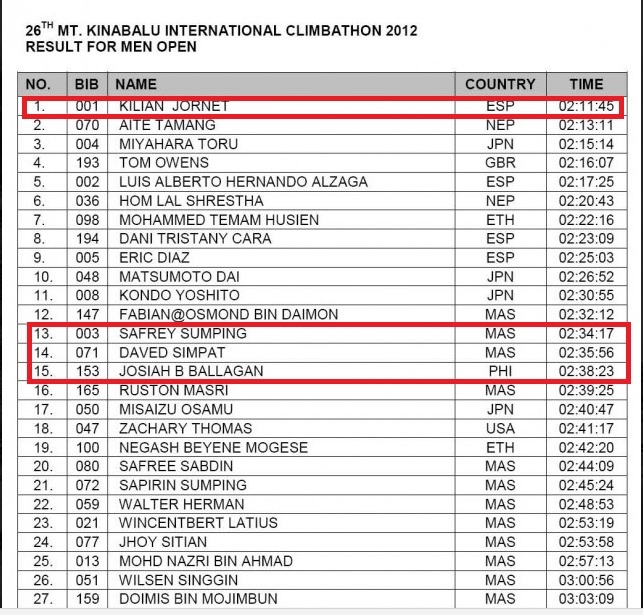 Then during a trek in Luzon's 2nd highest mountain in 2011, I met Josiah Ballagan. 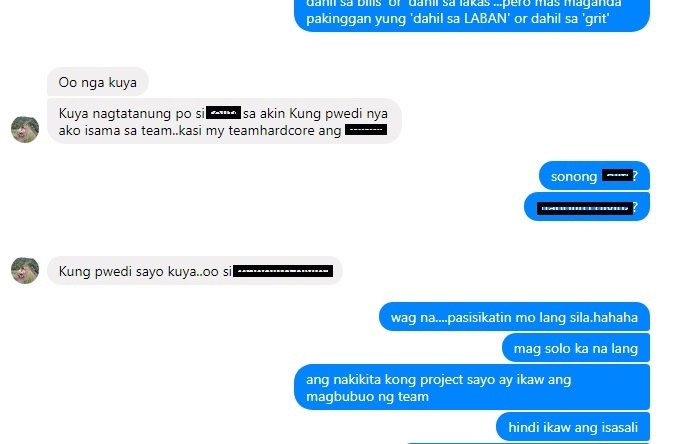 He was my first project--my hope for getting a Pinoy in the team! 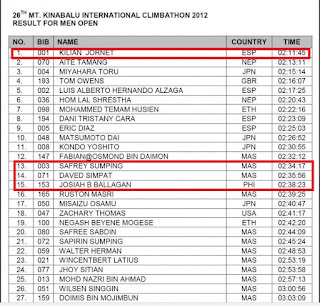 For a while, Josiah was carrying out the mission well, placing his name right next to the names of members of Champion System in a few race results. But he had a major injury in 2013. It was too soon for Champion System to notice and recognize his talent. Then Josiah had to go on a hiatus. At the same time, his family reckoned it would be best for him to focus more on 'real-world' stuff like farming and finishing school. In his father's words (who is also my friend) 'Hindi ka aasenso sa takbo-takbo mong yan!' So I just told myself, maybe Project Josiah was not really meant to be Project Champion System. Maybe it was meant to be giving Josiah a more secure future. 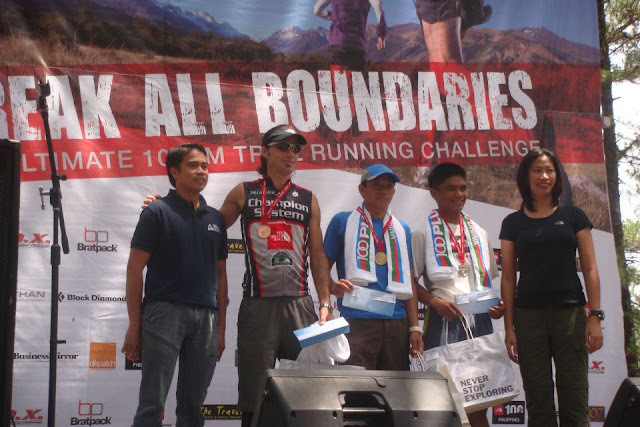 After representing the Philippines in the 2012 Mt Kinabalu International Climbathon, he did get a scholarship from the benevolent governor of Benguet. And he was able to get a bachelor's degree from Benguet State University through this scholarship. That's a lot to be thankful for. After all, more than athletic supremacy, a good life is my primary intention for the people I want to support. 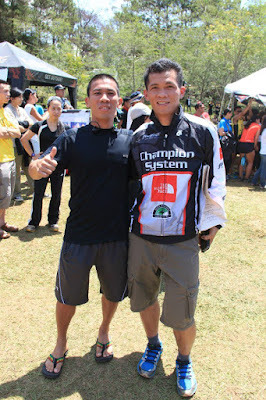 Five years later, in May 2017, at Tracing Iraynon-Bukidon Trails in Antique, I met John Ray Onifa. He would become my next project. His humility, rawness and pure grit reminded me of Josiah. And Project Champion Sytem was reloaded! I immediately registered him in The North Face 100 Thailand 2018. I just knew it was going to be a key race for him. 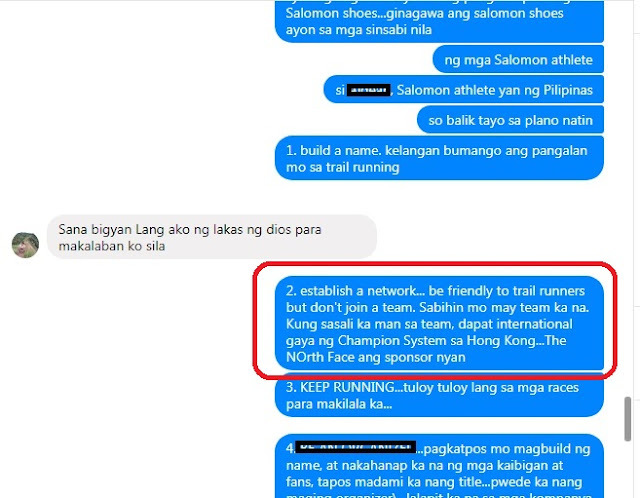 But before that, I wanted his name to be known in the trail running community in the country so we both solicited help from many generous individuals-- a runner blogger from Mindanao, a web content specialist from Laguna, a doctor from Antique, a lawyer from Iloilo and the lawyer's cousin. These people have unbelievably insisted in remaining anonymous behind John Ray's success. On the road to TNF100 Thailand, he ruled supreme in trail races by Soleus, Salomon, Mapawa and RMR. Then came THE race! 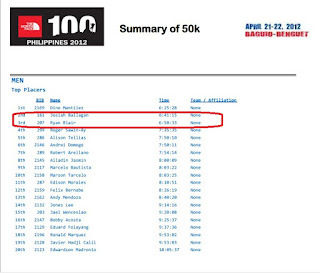 I was also running the 50K and I had learned that Ryan Blair and Daved Simpat were running the 50K as well. But as I was running the rolling terrain of Khao Yai National Park in Thailand, I thought to myself 'Kakainin ni John Ray tong ruta na to nang buong buo!' I was positive he was gonna win! As I crossed the finish line after 7 hours and 30 minutes, our friend Eduard who ran the 25K distance was approaching. 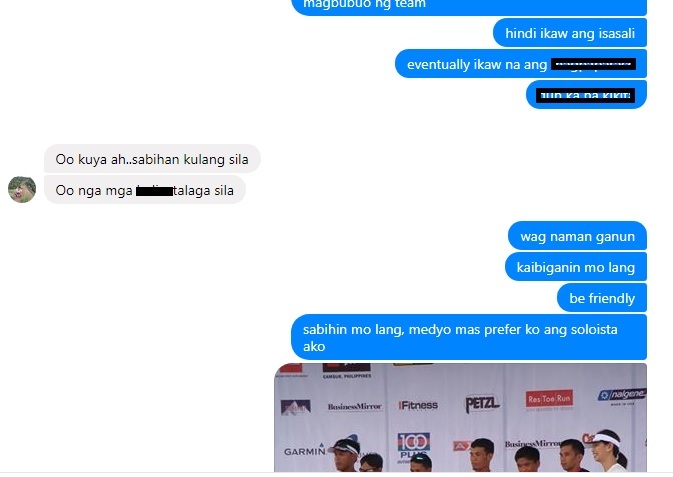 There was no need to ask but I had to confirm 'Ano panalo ba?' 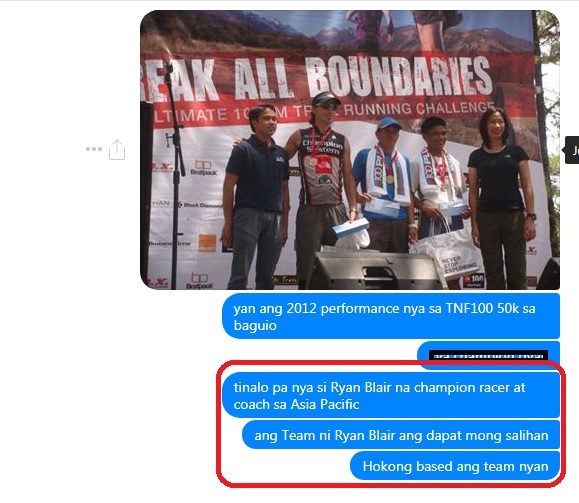 and he said 'Syempre naman....pero tito, kailangan ka makausap ni Blair dun sa athletes' tents!' And all of a sudden I was not hungry anymore thinking 'Eto na. 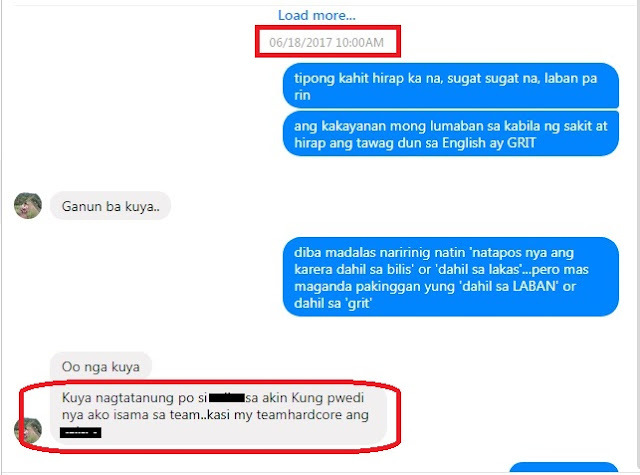 Magwawakas na ang stalker status ko! Lelevel up na to!' Ryan Blair means business! He goes straight to the point and wastes no time. His speed on the trail is matched only by his swiftness in making decisions. Among a lot of other responsibilities, he owns three outdoor companies. You can imagine how little time he has. So he wants things to happen quickly. He expressed his genuine interest in John Ray and looked us in the eye and said 'I will know that you are interested in this opportunity if John Ray installs Whatsapp and gets in touch with me tonight!' And we did right then and there. Around 5pm while Eduard and I were napping, John Ray roused us up. Ryan had called to invite us to dinner with the team. We were both too pooped to pop--pointing fingers as to who would accompany John Ray to dinner. Only the thought of Champion System could get me out of bed, and it was such an ordeal. My sleepiness vanished when the realization that I was at the same table with the elite athletes that I once just stalked had sunk in. 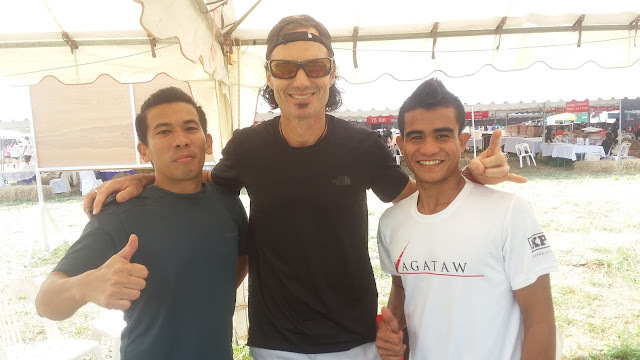 Together with Ryan were Jay Kiangchaipaiphana (from Thailand), Asia's foremost mountain biker and Daved Simpat, an elite vertical runner from Malaysia. I basically played the role of a translator as Ryan was interviewing John Ray and introducing the team to him. In between, I would take every opportunity to get to know Jay and Daved. Before finishing dinner, Ryan explained briefly the terms of the contract. Did he just say CONTRACT?! His flight back to Hong Kong was at 6pm the following day. The shuttle bus would be able to get us to Bangkok by 3:30pm. 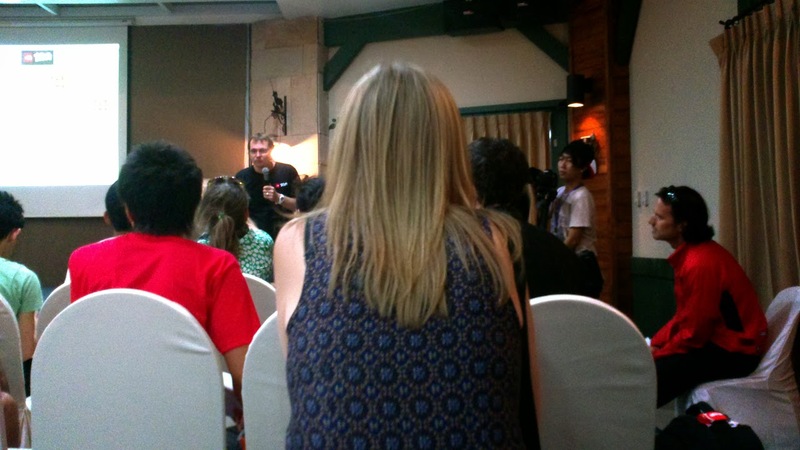 There was no way, we could get John Ray to sign the contract the following day so I convinced John Ray to just go with Ryan to Bangkok that night and we'll just meet him in the afternoon. I could see John Ray's anxiety knowing that he'd be in the company of total strangers all by himself in a foreign land for the first time and he could barely communicate with them. I just told him 'Wag ka mag-alala. Hindi ka nila kikidnapin!' which Ryan seconded. And so in less than 24 hours of deliberation, a contract was signed. I just wish government projects were as quick as this. You see, this was not me helping John Ray. This was John Ray being instrumental in me fulfilling my half-a-decade-old mission! And as John Ray enters this celebrity status, it's time for me to take a back seat and go to my rightful place -- a big fan! There's been a lot of hullabaloo in the country's trail running community and John Ray has been under a lot of pressure in the past two days! As new horizons have opened up, John Ray's world has gotten smaller. His freedom to be himself has been limited. Behind every friend request, post tag and congratulation, lurks the constant almost automatic admonition to every stardom -- Hwag sana lumaki ang ulo mo! -- as if we all really know him personally. But who really is John Ray Onifa? I think I got to know him better during our four-hour flight from Bangkok today. And I'll share this to you on the second part of this story. if only the local brands were as fast as getting athletes like him and not via the kumpare system. we'll be losing great talents soon.